Career Readiness Courseware 2.0 is the latest courseware powered by WIN Learning that helps prepare learners and job seekers for the ACT WorkKeys® job skills assessment. Whether it’s college, trade school, military, or the workplace, WIN provides learners with the tools to prepare them for the road ahead. Career-focused curriculum used for building critical foundational skills. 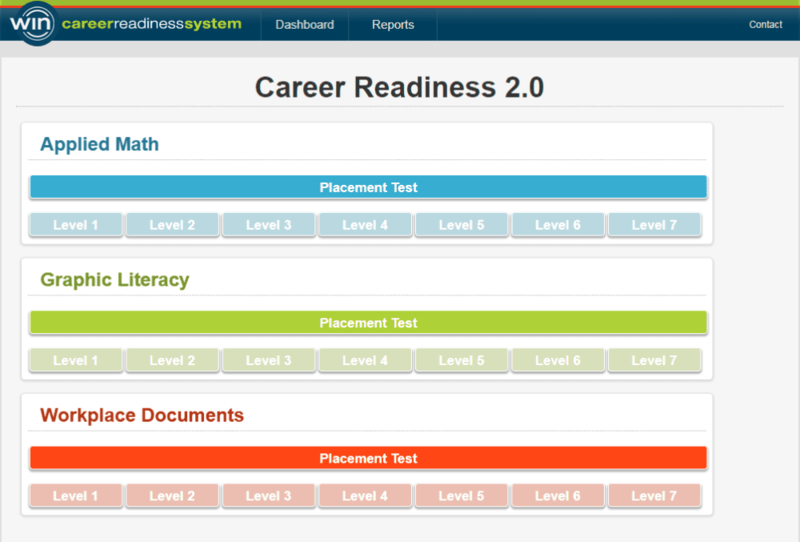 Career Readiness Courseware 2.0 provides learners with a placement test to identify current readiness levels in each of the modules, and to identify further training and education along their career path. Based on placement test performance, an individual enters the learning module at a level appropriate for their skills and then progresses at their own pace. Learners show mastery of content by passing post-tests at the end of each module, earning eBadges, and eventually the certificates of completion. The tests in the Career Readiness Courseware 2.0 provide learners with a personalized profile of how prepared they are for a career path, and helps clarify their needs for further training and education. These tests also assure precise skills-based placement into further work on foundational skills. This allows learners to practice and engage in the work they have not yet mastered. Applied Math measures workplace mathematical reasoning and problem-solving skills from basic addition, subtraction, multiplication, and division to multiple math functions like calculating percentage discounts and markups. 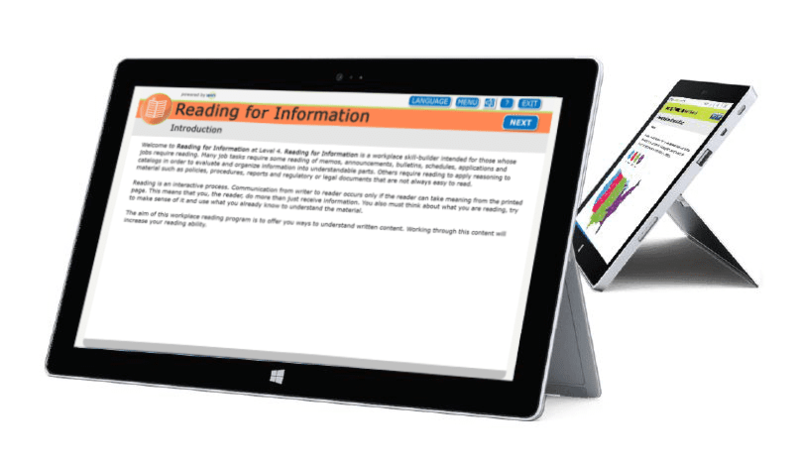 Workplace Documents measures reading comprehension and reasoning skills when using written text on the job including memos, letters, directions, signs, notices, bulletins, policies, and regulations. Graphic Literacy measures comprehension and application of workplace graphics such as charts, graphs, tables, forms, flowcharts, diagrams, floor plans, maps, and instrument gauges.